Tourist Information Centre Walk 28 at Halvergate Marshes & Weavers Way01493 846346work Walking RouteHalvergate Marshes and Weavers Way Walk is a 5 mile (8 kilometre) circular walk starting at the village sign on The Street in Halvergate, on the outskirts of Great Yarmouth towards Norwich. 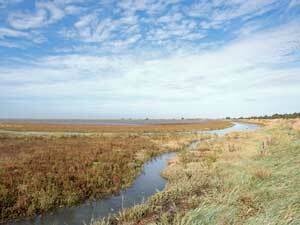 This walk provides panoramic views of the countryside around Halvergate Marshes. Why not try the Red Lion Inn on Marsh Road for some refreshments before you carry on? There are limited opportunities for shelter along this route and no public facilities. Halvergate Marshes and Weavers Way Walk is a 5 mile (8 kilometre) circular walk starting at the village sign on The Street in Halvergate, on the outskirts of Great Yarmouth towards Norwich.